It’s the show with no time for losers – back-to-back hits feature by the all-action production that has been proclaimed as the best Queen concert show ever. 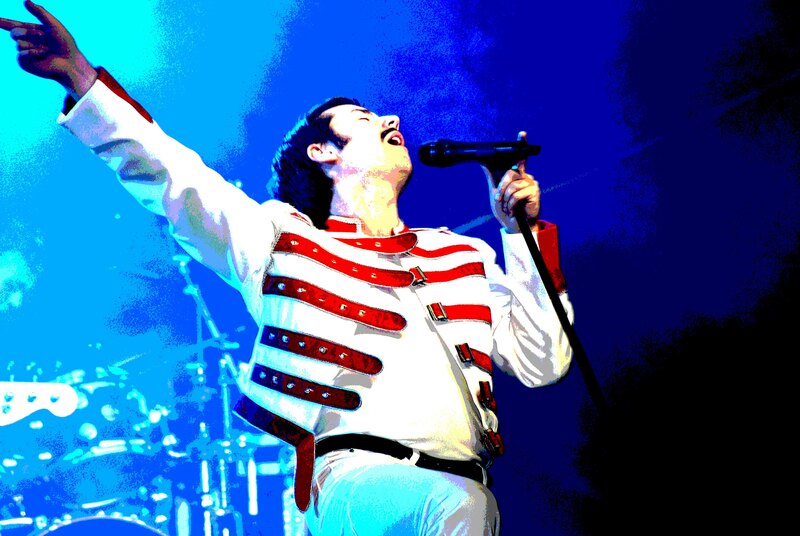 Recreating the excitement of their legendary stadium spectaculars, reprising Freddie’s on-stage antics and irrepressible personality, driven on by a band brimming over with superb musicianship, and featuring a score of non-stop belters. . .
We Will Rock You, Bohemian Rhapsody, I Want to Break Free, I Want it All, Killer Queen, Somebody to Love, Radio Ga Ga, Crazy Little Thing Called Love, Another One Bites the Dust, One Vision, Tie Your Mother Down, You’re My Best Friend, The Show Must Go On and more packed into two hours of right royal entertainment.